Y’all ready to learn how Aaron Franklin makes BBQ beef ribs ? This recipe will give you some simple yet essential tips to get you started. Begin by slathering the ribs with some Louisiana hot sauce . You can use oil or any other sauce you like (or nothing at all!). Sprinkle some Kosher salt and then pepper on all sides. Again, you can use any kind of rub, but this simple one is more than enough. Get your smoker up to temp at 285 Fahrenheit . Put the ribs in the smoker bone side down to insulate and protect the meat. Be careful not to get the ribs too hot! RELATED: When Smoking Ribs… To Wrap? or Not To Wrap? About five and a half hours into the smoking process use the spraying bottle to moisturize the meat. At this point you can also use the probe to check the tenderness of the meat. It should start to feel quite tender. The beef ribs are ready when the meat reaches an internal temperature of around 200 Fahrenheit. A manual method to find out if the meat is ready is probing between the bones: if the meat feels like butter, it is perfect. 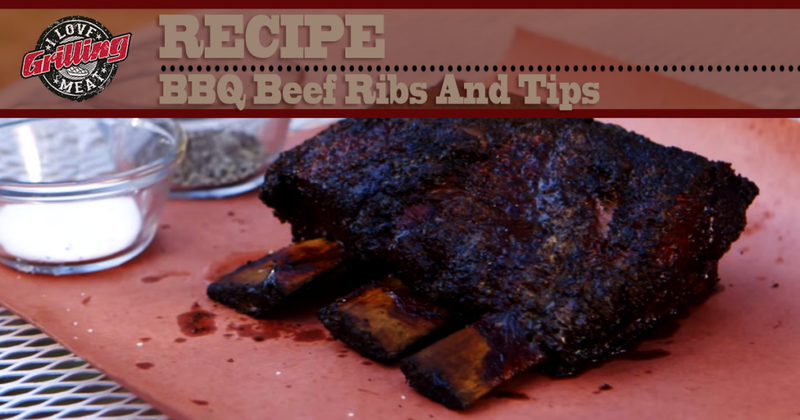 Use a towel to pull the BBQ beef ribs off the smoker without damaging the bark. Let the meat rest for an hour. 3-2-1 Ribs Method Explained The 3-2-1 Ribs Method: everyone knows it, and many great pitmasters will swear by it. But what are the actual benefits of the Method compared to just smoking your ribs for 6 hour straight? Perfectly Smoked Prime Rib (Bone-In) Smoked prime rib: the king of holiday roasts (or any other time of the year really), perfect for family gatherings or large groups of friends. In this guide we will go through the process of creating this spectacular smoked prime rib, from choosing the right meat – to smoking it. How To Reverse Sear Steak (Tomahawk Ribeye) The tomahawk ribeye (or cowboy cut ribeye) is a specialty cut ribeye steak. It is also perfect for this reverse sear steak “How To”! Because this ribeye steak is an extra thick (think 1 1/2-2″) prime ribeye with a portion of the rib bone still attached, it is great for this method of cooking.